NSP allows you to identify word and character Ngrams that appear in large corpora using standard tests of association such as Fisher's exact test, the log likelihood ratio, Pearson's chi-squared test, the Dice Coefficient, etc. NSP has been designed to allow a user to add their own tests with minimal effort. We have a mailing list designed to support NSP users. If you would like to report a bug or request a feature, please do that here! Check the introductory README , the INSTALL instructions, and the ChangeLog. You can also see our TODO list, some simple USAGE examples, and a list of Frequently Asked Questions. Browse the current CVS version. A note on working with non-English alphabets. The Ngram Statistics Package (NSP) was formerly known as the Bigram Statistics Package (BSP). NSP has been used extensively in SenseClusters and the Duluth and word sense disambiguation systems for Senseval-2 and Senseval-3. 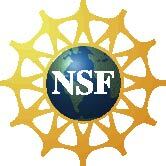 The development of the Ngram Statistics Package has been supported by a National Science Foundation Faculty Early Career Development (CAREER) Program award (#0092784, 2001-2007), and by a Grant in Aid of Research, Artistry and Scholarship from the Graduate School of the University of Minnesota (2000-2001).